Whitney Houston on the cusp of greatness in the early 1980s. June 1986. Every graduating high school senior in York County, Pa., including my 11 best girlfriends and me, celebrated the milestone with our first real grown-up trip, a week crammed into fairly seedy hotel rooms in Ocean City, Md. Late one afternoon, that perfect hour between beach time and party time, we were styling our giant, mousse-filled 1980s hair with our doors open to the hotel's second-floor outdoor walkway. Someone had a boom box. On came Whitney Houston singing "Greatest Love of All." "Come on, you guys," someone yelled, and suddenly there were two dozen girls forming a chain down that outdoor walkway, arms linked, swaying and doing our best to sing along with Houston's golden voice to what had become the anthem of our senior year. We laughed and cried at the same time, her music and voice reminding us of how much our future had to offer. Of course, we were a bunch of over-wrought 18-year-olds. 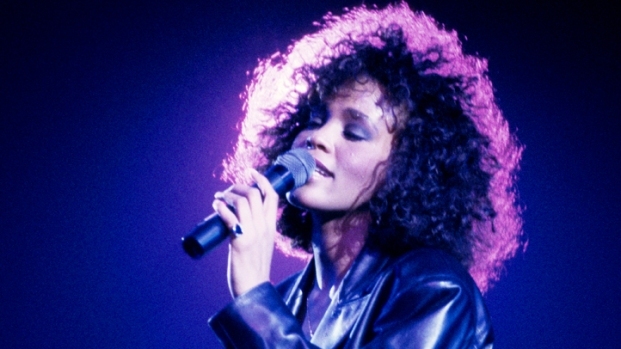 But we loved her for the same reasons millions did in the 1980s and 1990s: Whitney Houston gave voice to our deepest feelings -- romantic love; unrequited romantic love; human love; longing; exuberance. Her songs reminded us that life's emotions were indeed deep and intense, and not fearing them, but diving into them head first was the way to go. With its range and depth, her voice spoke of strength and a woman who knew what she wanted. "Saving All my Love for You," which earned her her first Grammy, was assured and beautiful. But she could also do soft and hurt, a woman regretting a decision in "Where Do Broken Hearts Go?" When she she asked in 1987's "How Will I Know if He Really Loves Me?" you had to open the car windows, sing along and laugh and wonder how anyone could not love Whitney Houston. Later, when drugs and a difficult marriage to Bobby Brown injured her voice and her spirit, it was like watching paint peel off of the most beautiful work of art, knowing what had been and what was lost. Houston's rise to the top is well-chronicled: the daughter of gospel singer Cissy Houston, the cousin of 1960s pop diva Dionne Warwick and the goddaughter of Aretha Franklin, she wowed church audiences while growing up in New Jersey. With long legs and that enormous and enormously happy-looking smile, she became a teen model, even appearing on the cover of Seventeen magazine, one of the few African-American models to do so at the time. When music mogul Clive Davis heard her, he knew she was a star. "To hear this young girl breathe such fire into this song. I mean, it really sent the proverbial tingles up my spine," he told "Good Morning America" according to the Associated Press. 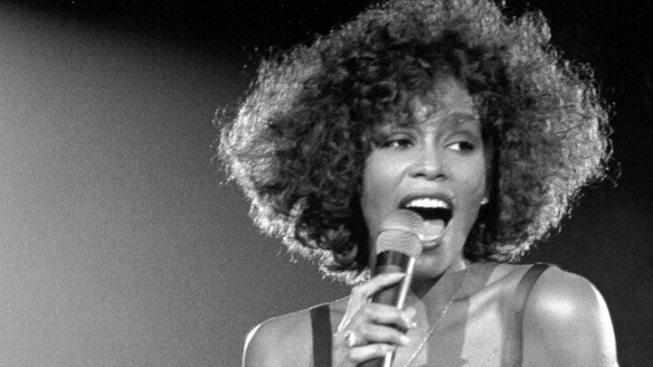 She signed with Arista records in 1983, but it was not until 1985 that she released "Whitney Houston." Wearing a draped, one-shoulder pale pink gown on the cover photo, her hair pulled back and her face in pensive stare, she looked every inch a soulful woman and no longer just a happy teen who happened to have a big voice. The album ended up yielding five hits, and a Grammy for Best Female Pop vocal for "Saving All My Love for You." She gave such a stunning performance of the song at the Grammys, she later won an Emmy for it. When her second album, "Whitney"came out in 1987, her music was not markedly different, but fans didn't care: It included four No. 1 hits and another Grammy in the same category for the delightfully infectious "I Wanna Dance With Somebody." She was world famous, earning millions and arguably the most influential African-American woman in the United States. She used her star power for good, creating a charity for children and calling attention to apartheid in South Africa in the 1990s. She sang the "Star-Spangled Banner" at 1991's Super Bowl and donated money from the recording to the Red Cross for victims of the Gulf War. When she married New Edition's Bobby Brown in 1992, some were surprised: She was an elegant diva, he was a bad boy. Their marriage was difficult; he was charged with domestic abuse in 1993 and arrested several times on substance abuse charges. Yet Houston continued to grow, starring in 1992's "The Bodyguard" opposite Kevin Costner and recording the phenomenally popular theme song, "I Will Always Love You." It won two Grammys and the movie soundtrack won one. By the late 1990s, though, things began to fall apart and Houston looked wizened and haggard, drugs and bad habits hardening her. She laid low for much of the first part of the century. After she and Brown divorced in 2007, she made a comeback album, 2009's "I Look to You." But on tour, it was clear her golden voice was sadly diminished. She will no doubt be honored and mourned all weekend during Grammy parties and the show itself, and long, long after. She will be remembered more for the deep joy she brought us than for the pain she later put herself through. Diane Davis is an executive editor at NBC Owned Television Stations and has been a lifestyles editor at AOL and the Associated Press.